If your work or passion has you (or your staff) constantly dealing with water, chemicals, paints and/or dyes that seem to get everywhere in an all-too-often spill or spray, it is probably safe to say you are tired of having the dirtiest clothes or uniform at work. 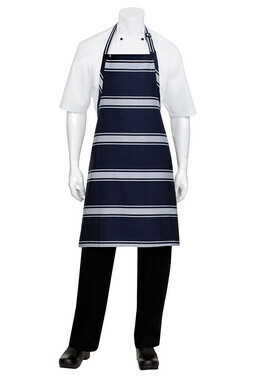 It’s time for a change —of aprons. 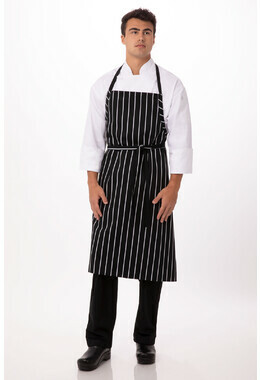 We have just the Industrial Apron for you! 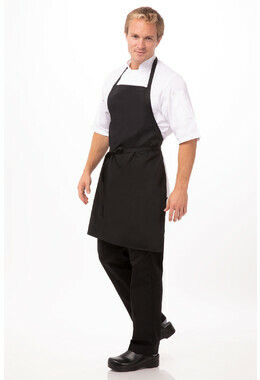 This Black Short PVC Bib Apron is an extremely tough, non-porous apron that can take some real abuse. 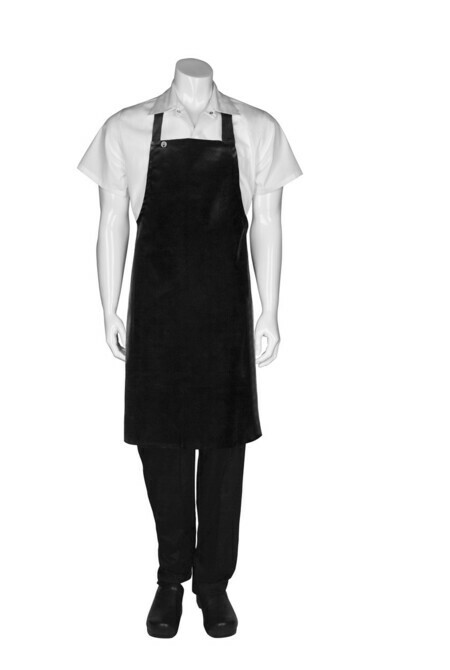 Our Industrial Apron is a heavy-duty that is just water resistant but abrasion resistant as well. 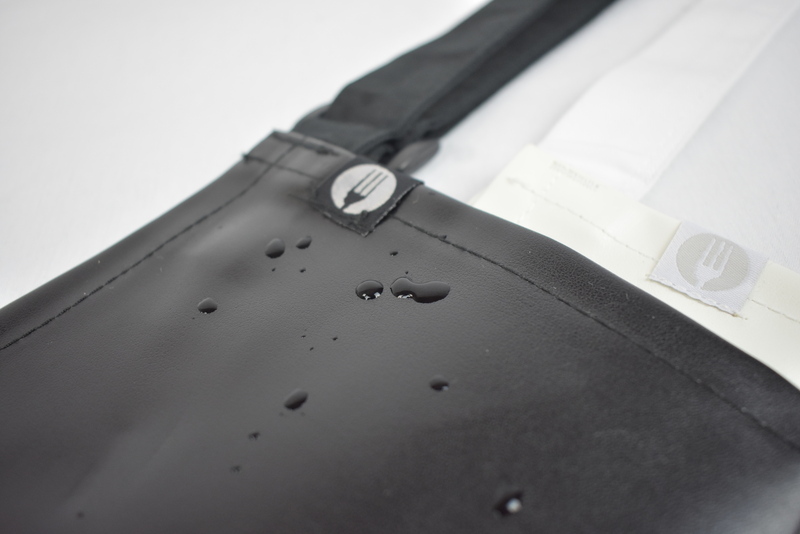 Beyond its core material, we incorporated reinforced stress points in all of our designs to make sure every bit of this apron was tough enough. 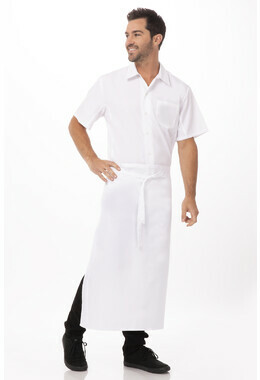 We even stress test our aprons to certify they can endure the abuse of a hard day’s work and still look good. 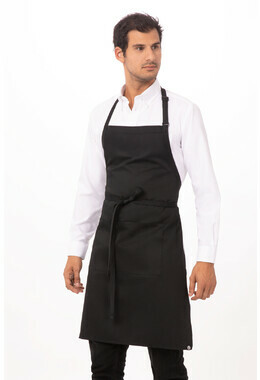 Now, that is a durability that you can trust on an apron that means serious business. Because our industrial aprons were built to last, your bottom line is protected. 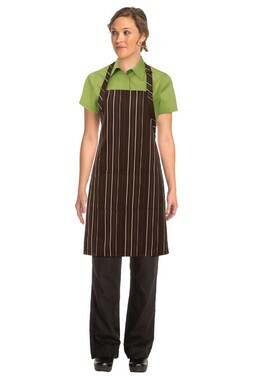 No more spending money on poorly manufactured aprons that perform well below the standard of excellence we set here. Our industrial vinyl bib apron aprons is available in three different colours: Black and White. It also features a webbing neck strap for an easy hang dry, as well as ties in the back for better fit. With an apron like this in your closet, you can finally put your focus back on your work and stop dealing with what your work has done to what you wear. Really impressed with the quality of this product at a great price!